If you’re looking for a delicious alternative to your childhood favorite, this Raw Vegan Mac n’ Cheese recipe has come to your rescue! This is a fantastic raw vegan mac n’ cheese recipe guaranteed to satisfy the taste buds and your rumbling stomach. 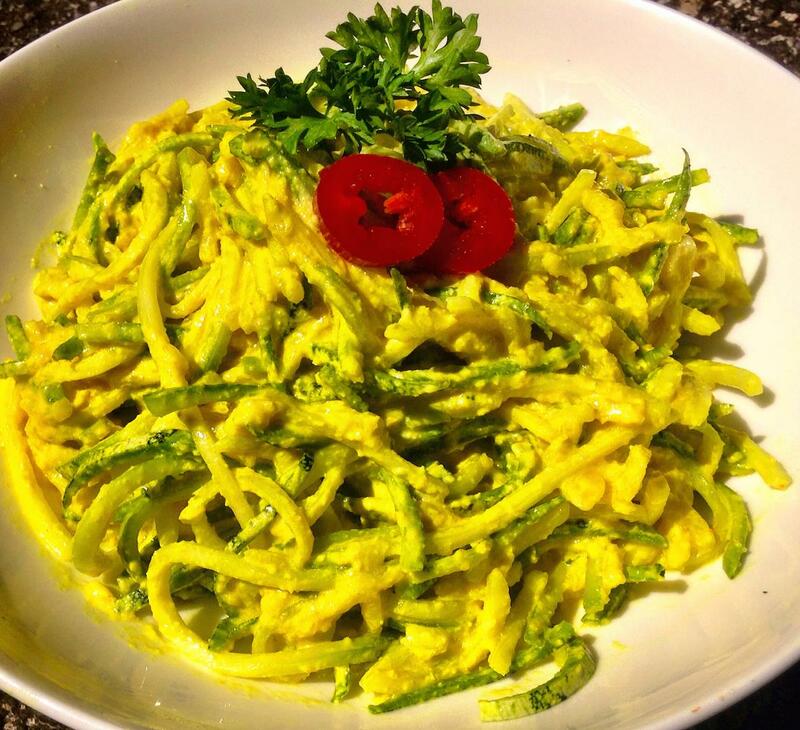 1) Spiralize or cube zucchini squash depending on desired pasta consistency. Put in a large bowl and set aside. 2) Combine all other ingredients in a high-speed blender, leaving out the jalapeño pepper. Blend until completely smooth. 3) Scoop out sauce and mix it into zucchini pasta until all noodles are coated. 4) Dice the jalapeño pepper, sprinkle over noodles and serve!